That’s not an uncommon reaction when we tell folks about this crazy scheme of ours. So here’s a brief introduction to our future home, Chiriqui Province, República de Panamá. First, many people don’t realize that Panama (aka as the Isthmus of Panama) is a narrow land mass bridging Costa Rica and Colombia and running west to east. When we entered Panamanian waters from Costa Rica on our boat, we had a tough time getting our brains around the idea of being eastbound since we’d been traveling south for three years. And the Panama Canal actually runs from the southeast (Panama City on the Pacific side) to the northwest (Colon on the northwest side). Bisected by the Chagres River, that section of the country is so narrow that France thought it was a perfect spot to dig a canal. France failed spectacularly and tragically, but that’s another long story and the topic of a future blog post. A map is worth a thousand words (click for a bigger version)! 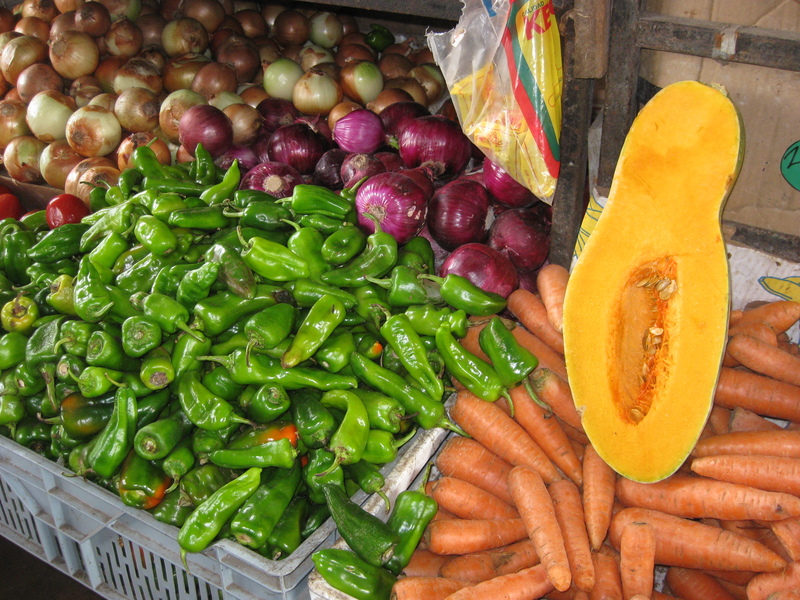 Chiriqui Province is known as the breadbasket of Panama since most of the country’s fresh produce is grown there (and I’m talking huge and wonderful papayas, the sweetest-ever pineapples, and mangoes bursting with juice, to name just a few of the goodies). And the coffee – well, it’s easily the best I’ve ever had. For at least the first couple of months, we’ll be living in the beautiful highland coffee town of Boquete in Western Panama. 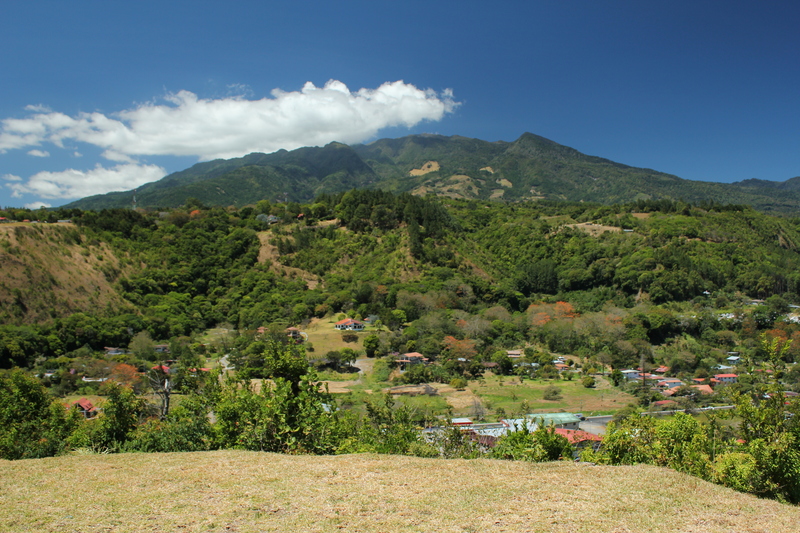 Nestled at the foot of Volcán Barú, Panama’s tallest mountain and yes, an active volcano, Boquete is a little gem of a town that blends a vibrant Panamanian spirit with a large expatriate community. Spanish for “gap” or “opening,” the name Boquete was bestowed by gold seekers looking for easy access to the Pacific (thank you, Wikipedia!). At well over 11,000 feet, Volcán Barú is a national park, and from its peak on super-clear days you can actually see the Carribbean to the north and the Pacific to the south (did I mention that Panama is a skinny country?). As avid hikers, we can’t wait to experience that for ourselves. Although Boquete is only about a half-hour drive from the bustling coastal town of David, Panama’s second-largest city, it feels like a world away. At 3,900 feet, Boquete has a wonderful “year-round spring” climate that’s a welcome break from the steamy lowlands – but it’s within easy reach of the coast when we need a beach fix. And did I mention the Boquete coffee? Trust me, it’s to die for. Very informative!! Keep it coming!! I have nothing but the best of wishes for you two. Have a great adventure! Thanks, Sheila! Come down and see us. I Think it’s wonderful!!! I can’t wait to read about all your adventures!!!!! Thanks, Robin – come down and see us! I just found your blog and am looking forward to following your journey. Thank you for the informational posts, great job!